"Relax - Refresh - Rejoice!" 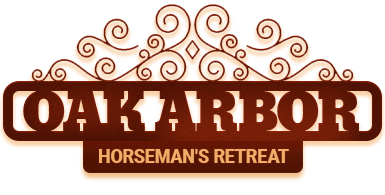 Whether you want to spend some quality time with your horses and family or are searching for the perfect country venue to host a special event, you'll love the laid-back atmosphere at Oak Arbor Horseman's Retreat in Kennard, TX. 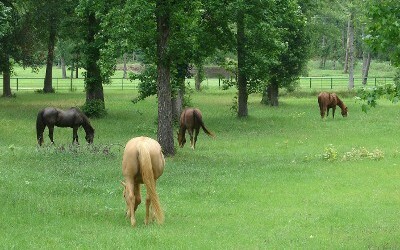 We also welcome guests without horses who are seeking the peace of rural living. 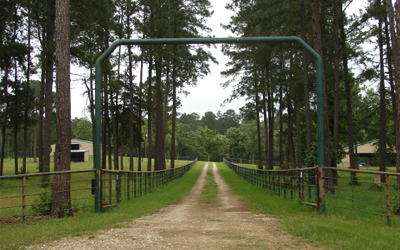 Our bed and barn, located in the Piney Woods area of East Texas, contains multiple rooms with private baths and kitchenettes. The Cafe is a great place to prepare meals with family and friends. Take advantage of the rain or shine covered horse arena and train over obstacles on our unique and interesting trail course. Ride the Piney Creek Horse Trails and return to the comfort of your room. You can also fish or kayak at nearby Houston County Lake or hike the trails in this beautiful part of the country. There's so much to enjoy here! Call to reserve a room or book our venue for your upcoming celebration. We are your hosts, Judy and Steve Christie. When we first saw this property over 21 years ago, we had the vision to share the beauty of it with others. 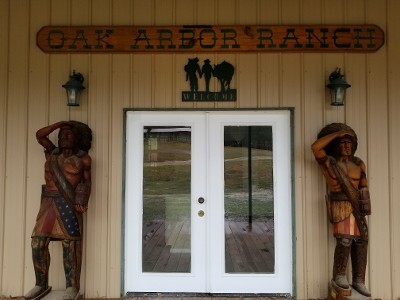 Oak Arbor in Kennard, Texas, provides overnight accommodations for horses and their owners, training areas, a central cafe for groups, and rental space for weddings, reunions, and other special occasions. You can even ride into the forest right out of the back gate, and the trailhead at Davy Crockett National Forest is only a short drive away. 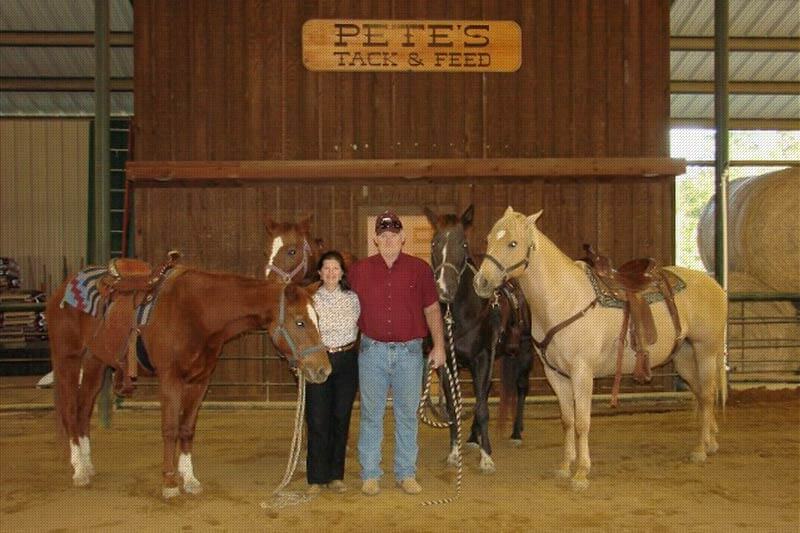 We look forward to meeting guests who share our love of horses.